*Living The 'Not So' Single Life*: Sidebar: Ratchet TV Foolery, "Sorority Sisters"
My Twitter timeline and Facebook feeds were off the charts about this show. Therefore, I watched every cringing moment of this foolishness because I didn’t want to criticize it before actually seeing the show. First, let me state that as a member of Delta Sigma Theta Sorority, I am appalled and ashamed of the show. The show was a minstrel show and has folly all around it. In no way should educated and dignified women of these organizations act this way. The misrepresentation of Alpha Kappa Alpha, Delta Sigma Theta, Zeta Phi Beta and Sigma Gamma Rho has me floored. I am having a hard time trying to wrap my head around the idea that my sorority sisters & other sorority sisters selling out their organizations for a week of fame. 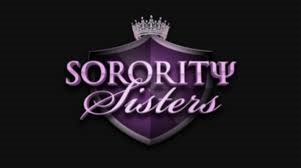 I am very upset, because this show did not show my sorority as an organization that was founded on principles, the involvement in community service and that we support the betterment of women…but rather portrayed us as unreal, egotistical, uneducated, materialistic and irresponsible. This is inexcusable. There was one thing that pierced my heart, the obvious twist that other organizations DO NOT get along with each other. That is the farthest from the truth. I have great friends that represent all of the other sororities in the Panhellenic. By no way shape or form do we put each other down like these chatty women. We respect and support each other. I like others that have graced my timeline or news feed, would appreciate it if my cherished organization would not be a part of this tomfoolery. So, I did my part to try and remedy this situation by signing the partition to end this show (here)!